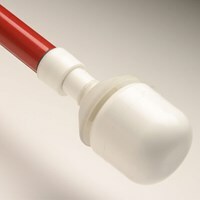 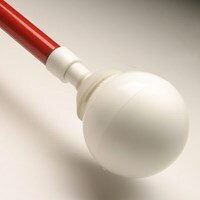 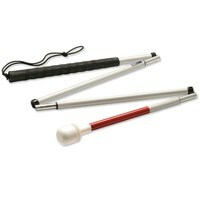 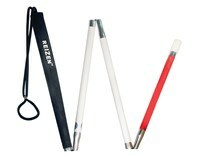 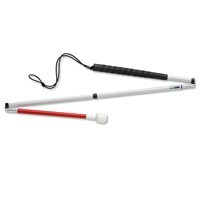 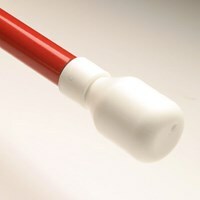 This hook-style cane tip was designed for people who have difficulty learning techniques to use canes for the blind/mobility cane. 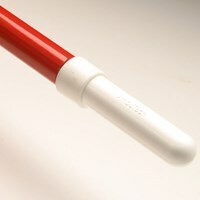 The tip has two wheels mounted on a horizontal bar. 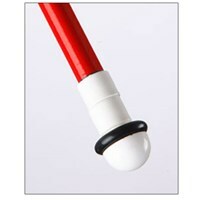 When attached to the bottom of a cane (not included), it is pushed along the floor in front of you in a similar motion to pushing a broom along the floor. 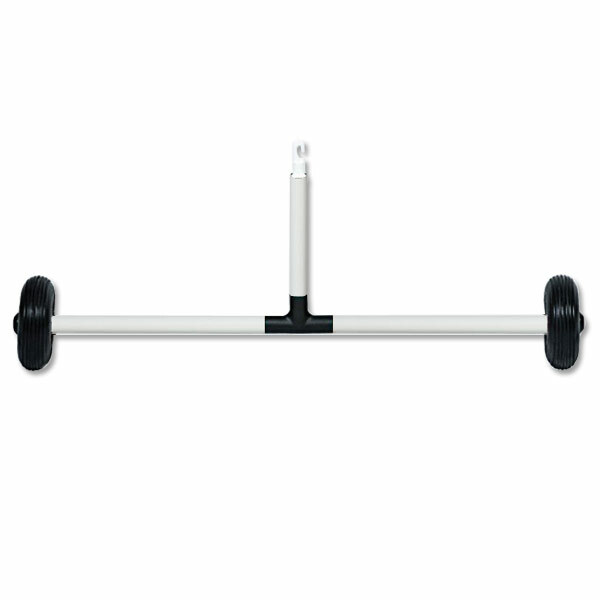 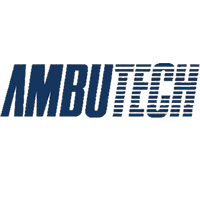 Measures 18 inches wide with dual 3-inch diameter rover wheels for use on rural or rougher urban surfaces.